Rejoice, Whovians. (And get ready to be confused, everyone else.) The sonic screwdriver, a fictional multipurpose gadget from BBC’s Doctor Who is soon to be added to the Oxford English Dictionary. 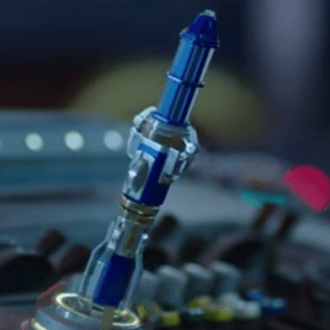 If you’re already a fan, you know what the sonic screwdriver is. If you’re not, you might want to look it up once the new edition of the OED is released in June. (Hint: it’s not a disgusting mixed drink.) Or you can get a sneak peek at the future entry on the OED website. Sonic screwdriver joins other Doctor Who entries: TARDIS, Dalek, and cyberman. Apparently getting rid of irrelevant things like cassette player (sorry, 13 Reasons Why) has made some room.